This week, I put together a fun "going out" outfit, but each piece is incredibly versatile. There are so many ways that they could be worn! Adding a little pop of sparkling color to your ears, this pair of earrings from our shop are made from reclaimed pine. 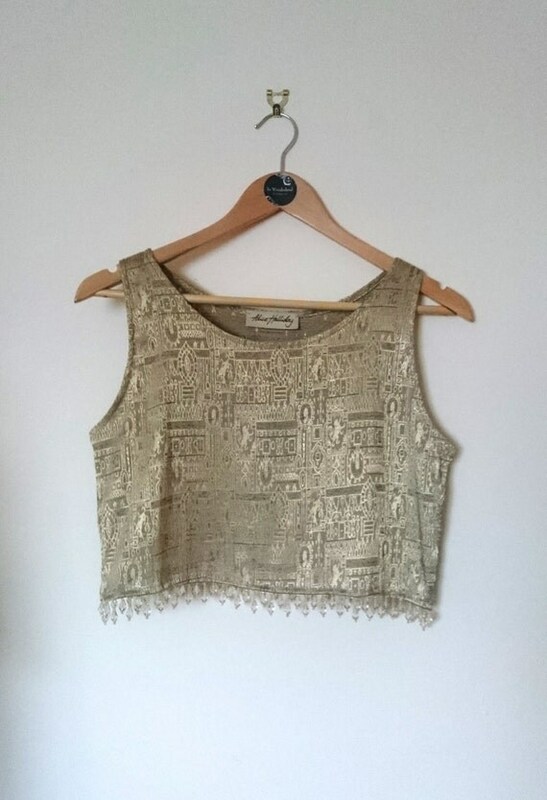 Reclaimed vintage and remnant silk is joined with gold beaded trim to create this luxurious crop top from Alice Halliday. 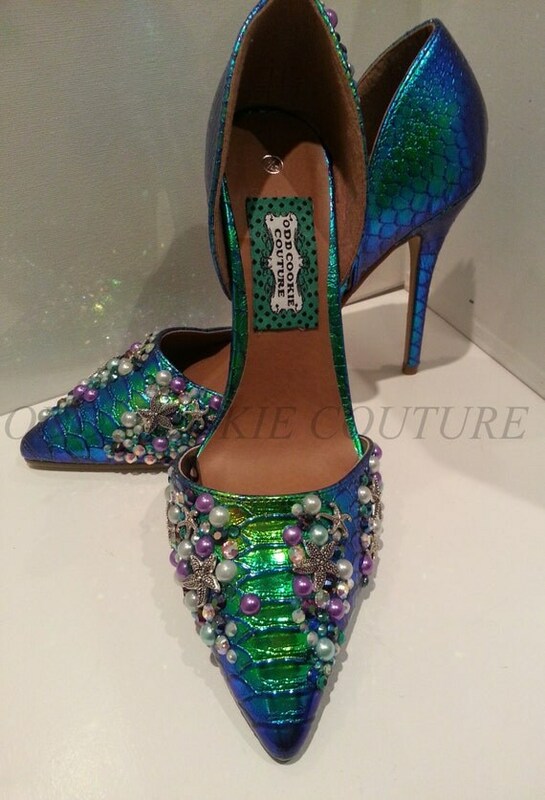 These lovely iridescent mermaid shoes from Odd Cookie Couture are one of a kind. However, if you do not wear a UK size 8, you can request a pair to be made just for you. 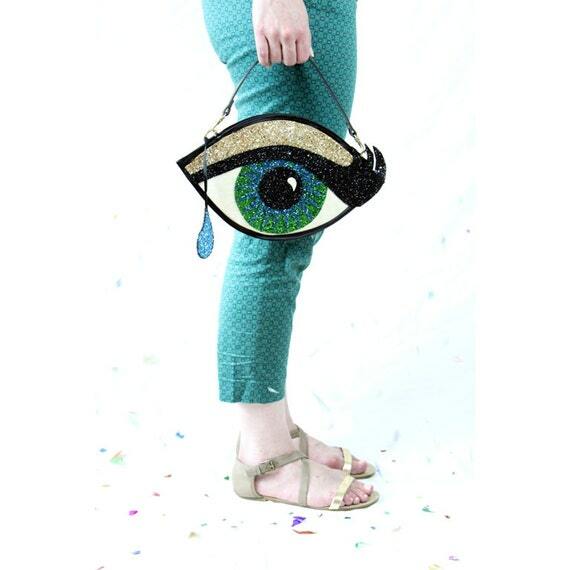 This glittery eye handbag from Luna on the Moon was inspired by Dali. 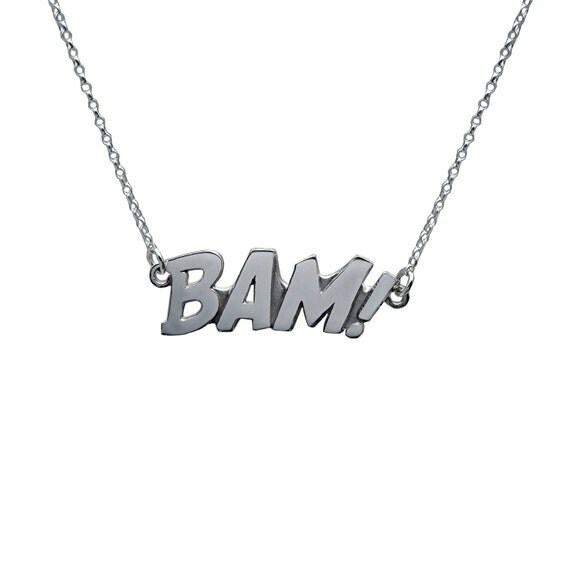 Say something with this sterling silver necklace and pendant from Edge Only's Pop Art Collection. These leather leggings from Walk Among Us Clothing are custom made from up & recycled leather, and eco-friendly viscose. 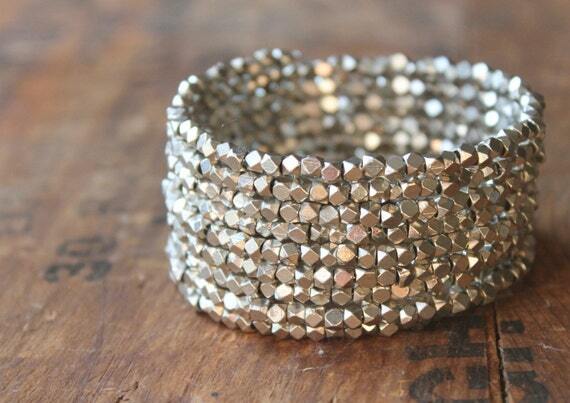 Silver plated beads were strung on memory wire to give this cuff from Handmade by Anne Potter a stacked look. 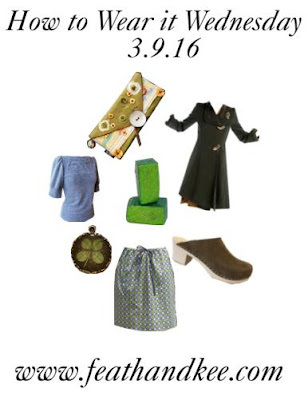 With Easter this Sunday, thought it would be nice to put together an Easter outfit. 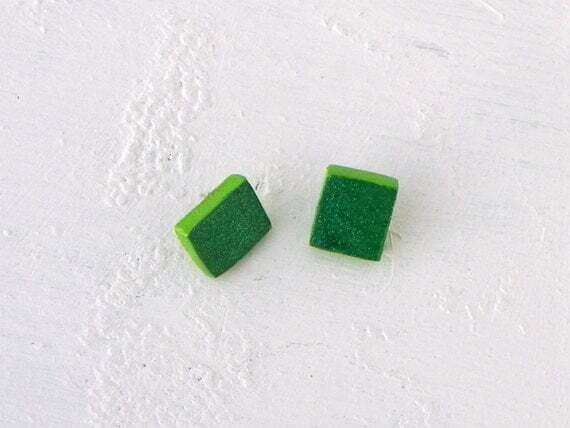 From our shop, this simple pair of earrings add a little bit of bling. 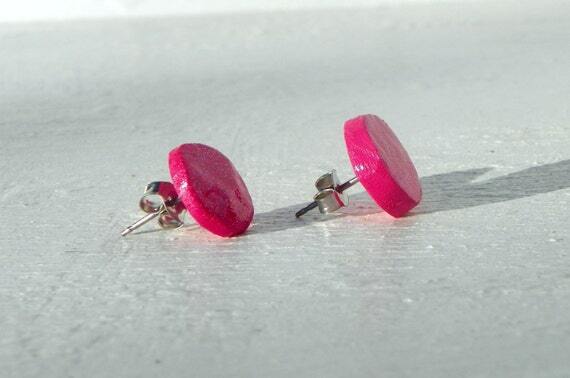 They are made from reclaimed wood with fuchsia and glitter acrylic paint. 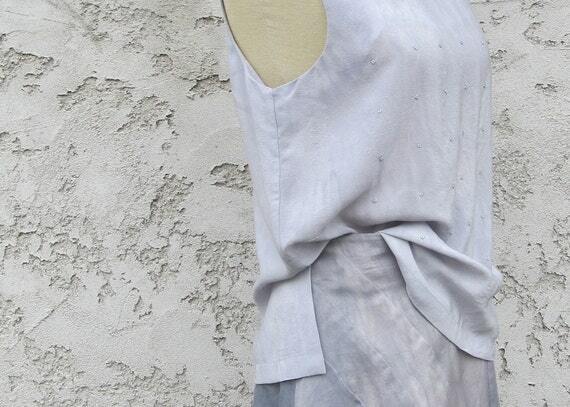 The this classic shell from Jane Round is made from hand-dyed Silk Crepe de Chine. 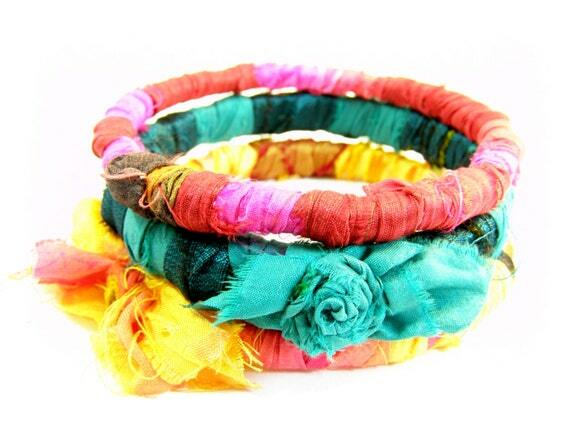 These bright bangles from 4 Season Cards are made from up-cycled plastic bangles and sari silk. 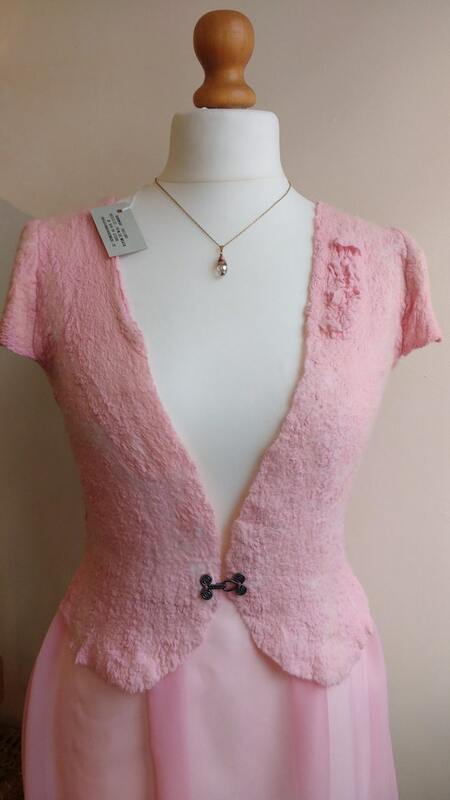 Merino wool and silk are a delightful combination, as you can see is the case with this one of a kind felted blazer from Handmade Gallery. These custom made leather ballet flats from The Drifter Leather come with a removable ribbon. 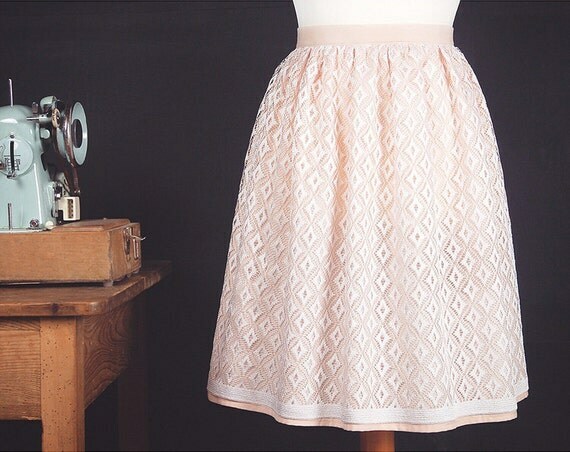 This lovely made to order skirt from Molloy is made from vintage cotton and lace. 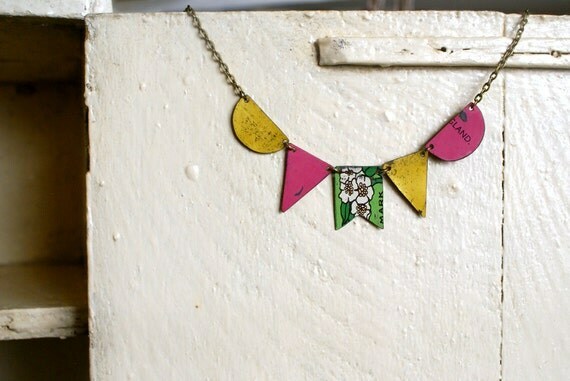 The cute little tin flags for this necklace from Sale Of Work are made from recycled biscuit tins. I have mentioned before, that I am a leader for TEMPT Team on Etsy. This is a great group of people who work hard to promote each other. One of my favorite games, is Motivation TEMPTation. Each week, the winning shop from the previous week chooses an item from their shop to be the "Motivation" item for the next week. 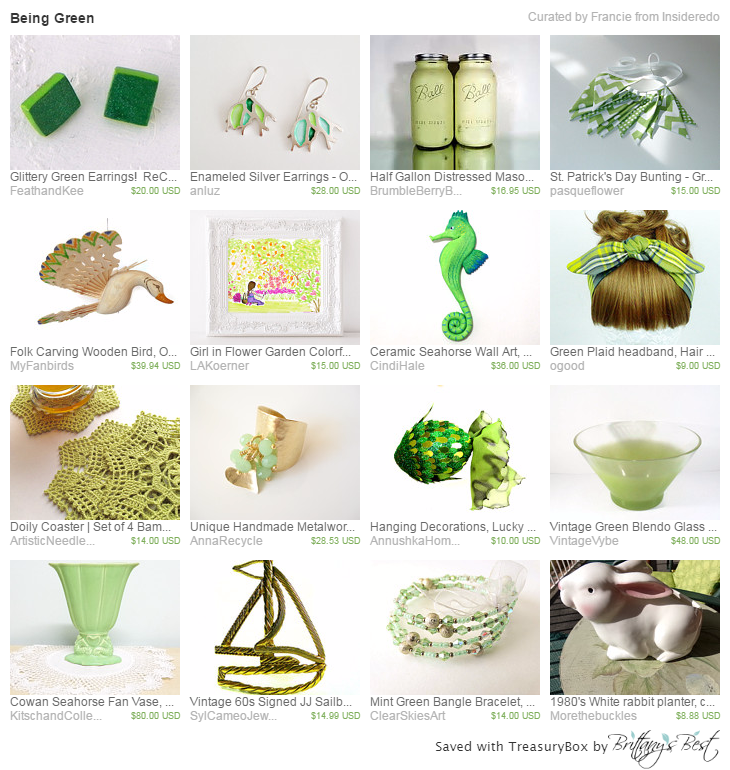 Team members then create collections, or treasuries featuring that item. At the end of the week, the previous week's winner has to choose the winning treasury. Last week, the featured item was a really neat vintage pipe from More The Buckles. 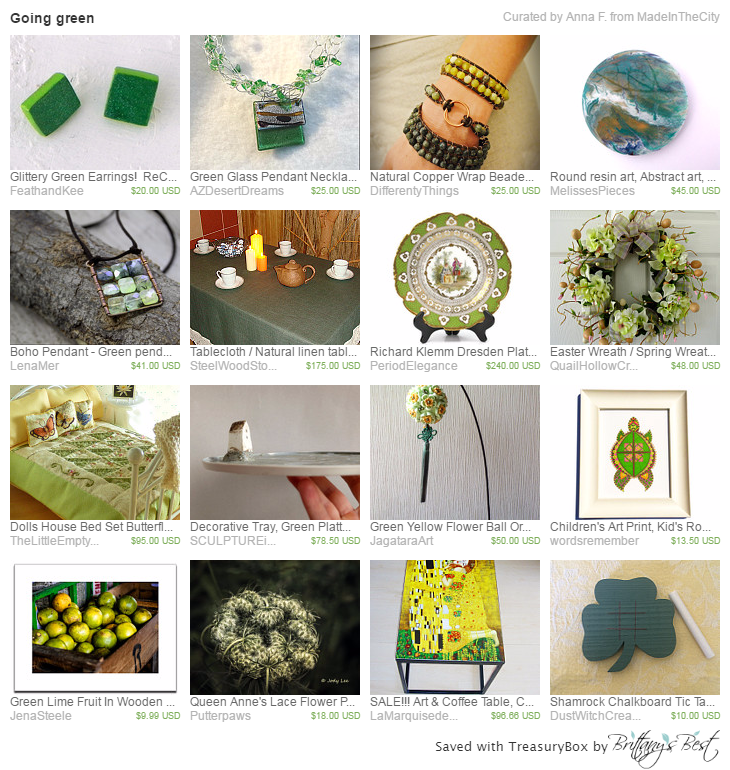 They chose my treasury, "Rustic / Wood Finds" as the winner. So since St. Patrick's Day is Thursday, I chose this pair of wooden earrings. 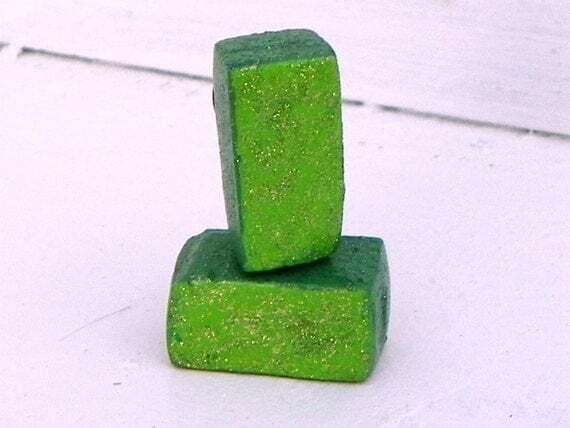 They are made from recycled wood, and I love the glittery emerald paint. There were so many beautiful treasuries to choose from! Scroll down to check them out and to see the winning treasury! "Green With Envy" By Pat from Quail Hollow Creations. 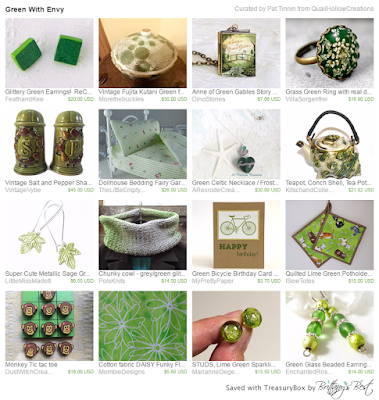 "Going Green!" by Liz from The Little Empty Nest. 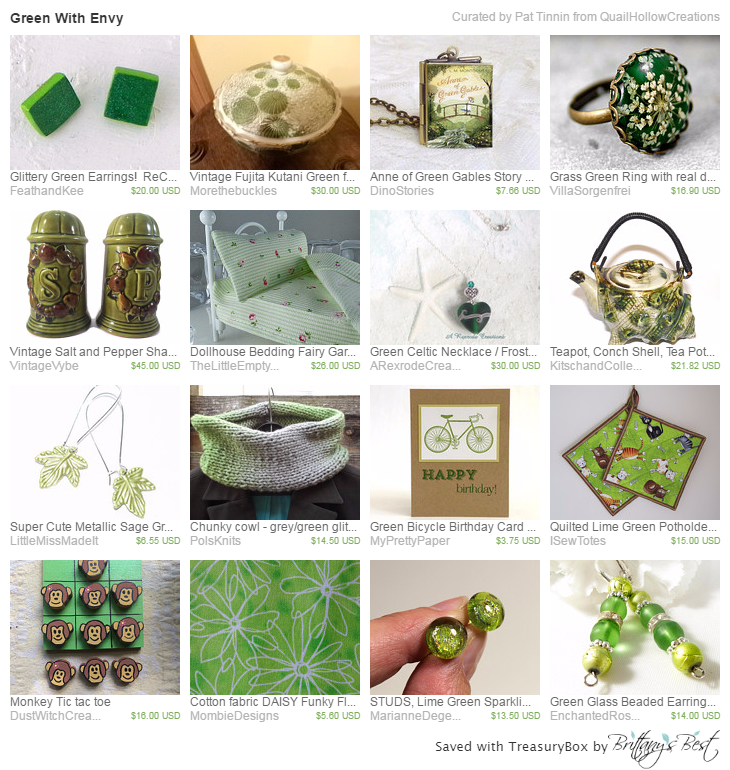 "Being Green" by Francie from Insideredo. 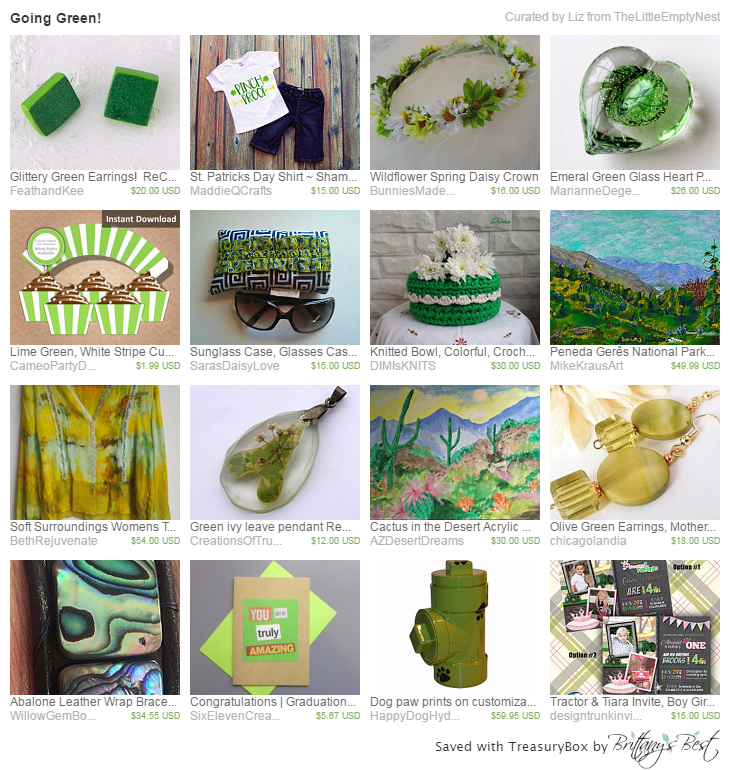 "Going Green" by Anna from Made In The City. It was a really tough choice! Thank you to everyone who made a motivation treasury for us!! 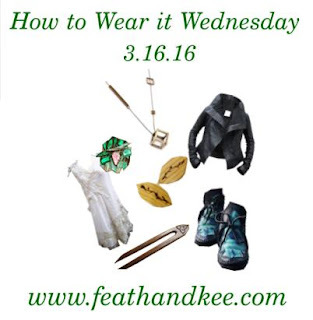 See you tomorrow for How to Wear it Wednesday! St. Patrick's Day is tomorrow. To me, this day is my excuse to celebrate all things Irish. 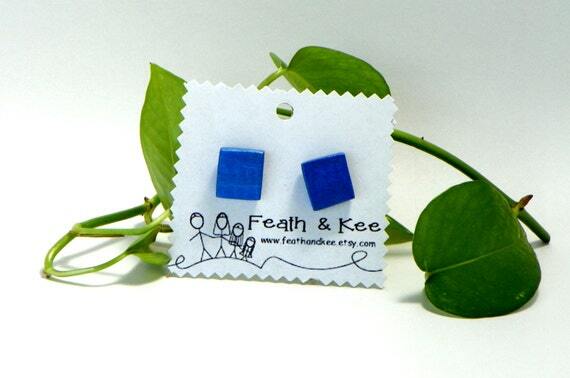 That said, everything in this week's post with the exception of our earrings, are from Ireland. 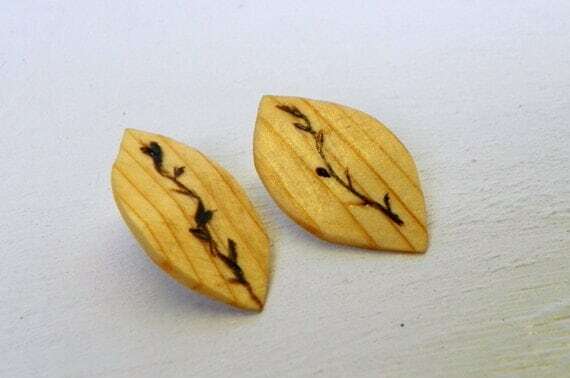 From our shop, this pair of leaf earrings was made from reclaimed pine. I burned the design on with handmade tools. I finished them with linseed oil. Delicate flowers, lace, and tulle give this handmade dress from Natasha Wilkie Design a certain light, almost otherworldly feel. 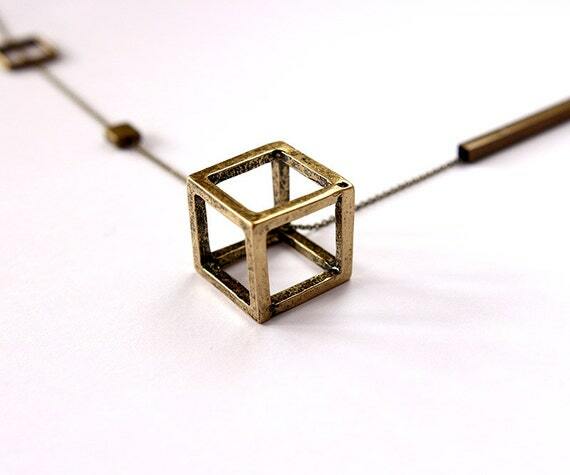 I love how the different elements of this necklace from Fabricate Designs work together. 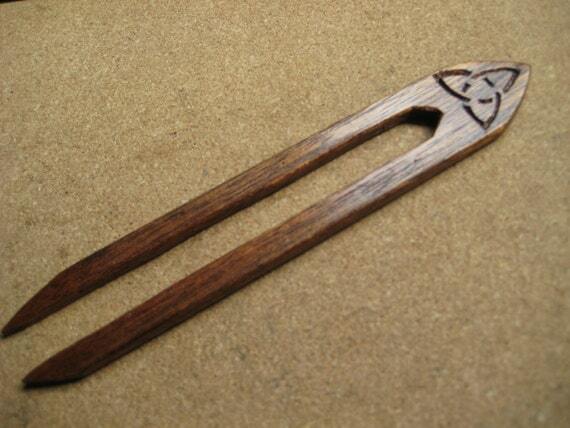 This hand carved hair fork from Aaron Tyndall Designs was carved from teak. 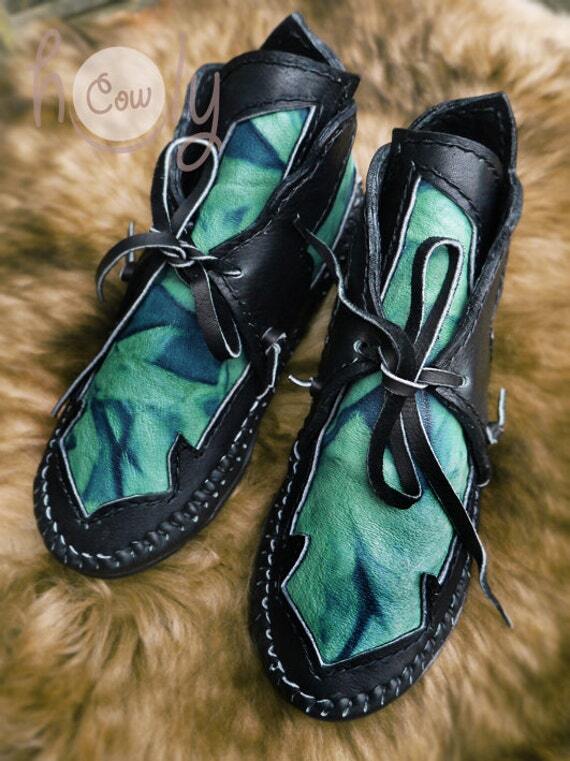 Holy Cow Products construct their custom moccasins entirely by hand. They are entirely custom, even down to the rubber soles. The design of this pair remind me of leaves. 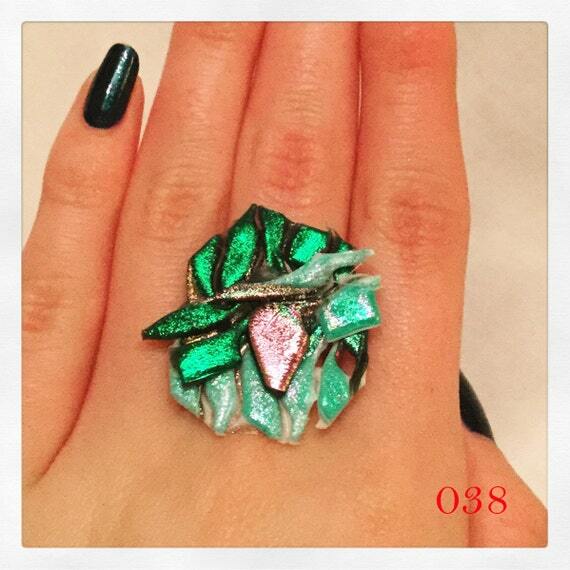 This gorgeous, shimmery ring from Little Blue Lagoon was made from melted plastics. 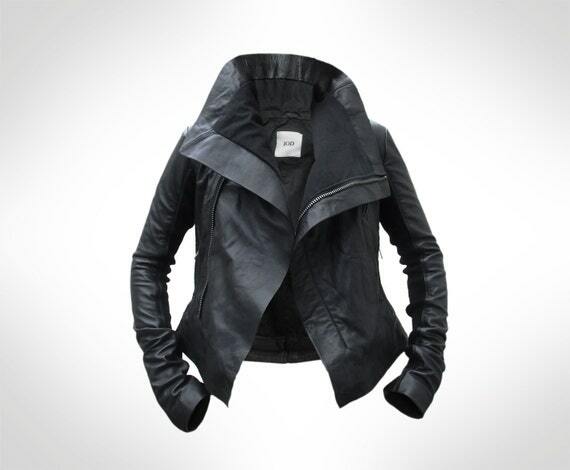 This leather biker jacket from J.O.D. Clothing is made of lambskin with cotton inserts. It is a custom order, so you can have one made that will fit perfectly! So that is it for this week! Spring is just four short days away! Have a lovely & safe St. Patrick's! So I was definitely inspired by St. Patrick's Day for this outfit! Everything is handmade and found on Etsy. I love the flecks of gold in this pair of earrings from our shop. I cut and sanded the rectangles, then added two different shades of green acrylic, finishing it all off with glitter on the faces. This was all sealed with clear acrylic. 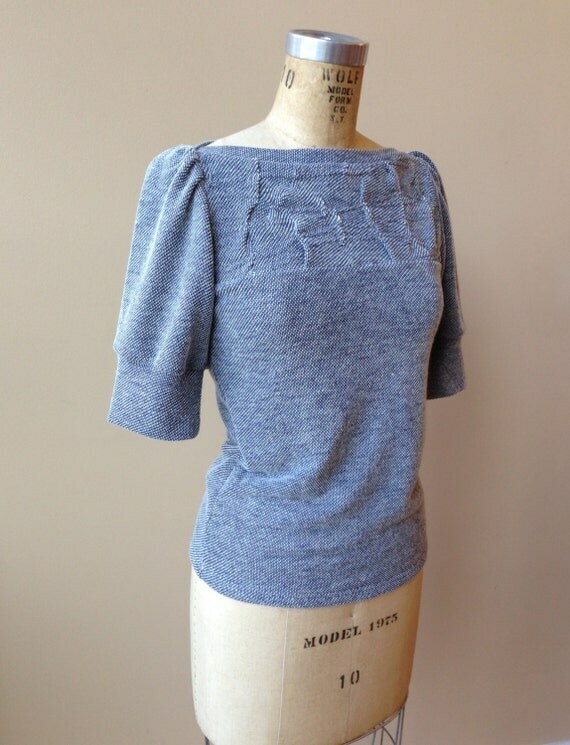 So many wonderful things are going on with this top from Out Of Line. It is made from 100 % cotton jersey. 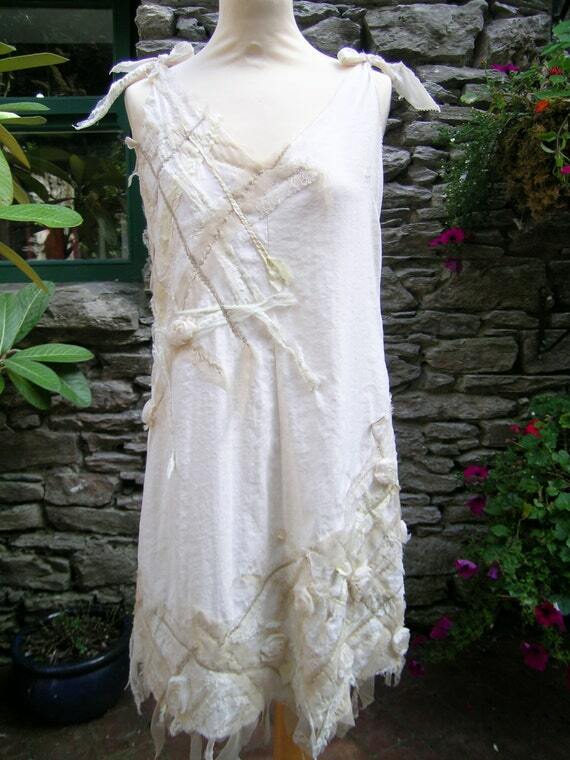 The folds and stitching make me think of origami. All of this in a simple top that you could wear with anything on just about any occasion. 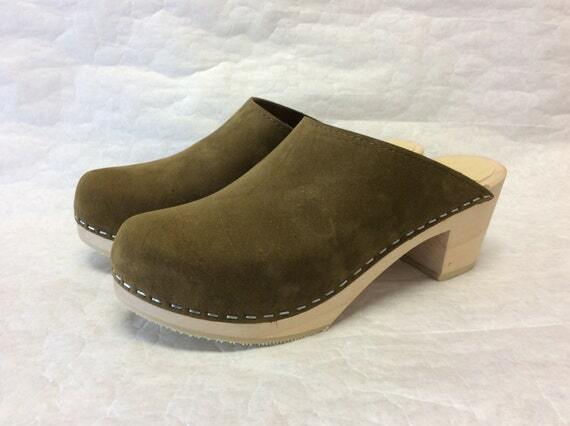 These classic clogs from Chameleon Clogs are made from soft nubuc leather. They are on a natural wood sole, but can be ordered with a dyed brown heel. Made from hemp, organic lyocell tweed, and silk, this coat from MidCentury Crisis puts a quirky spin on the classic trench coat. 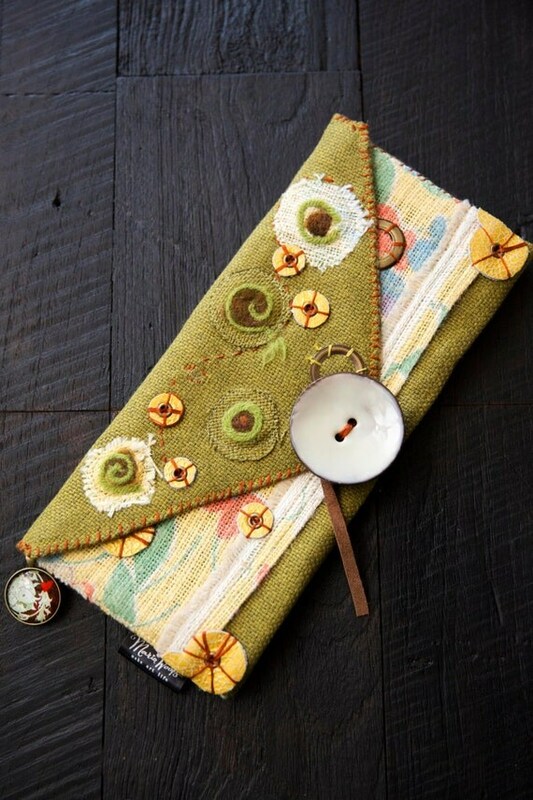 This burlap clutch from Make Art Life is decorated with handmade stitching and embellishments made out of felted wool and leather. It also features a one of a kind charm. 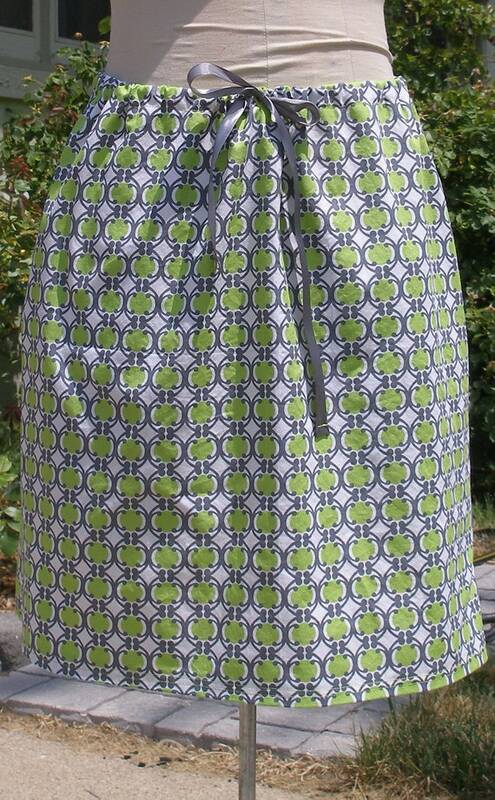 The crisp lines of this cotton skirt from The Sleepy Egg are ready for Spring. You could also layer it with tights or leggings on a chilly day. A satin ribbon adds the finishing touch. 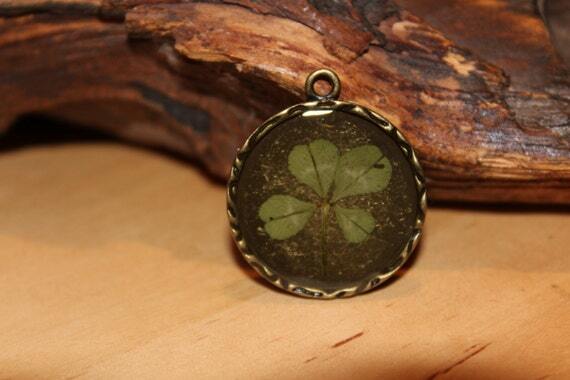 A good luck charm is a nice thing to have. What better than a real four leaf clover? Get it at brandyfrog.